The U500® Series vocal sets were developed in Germany to bring you affordable professional technology and sound quality. 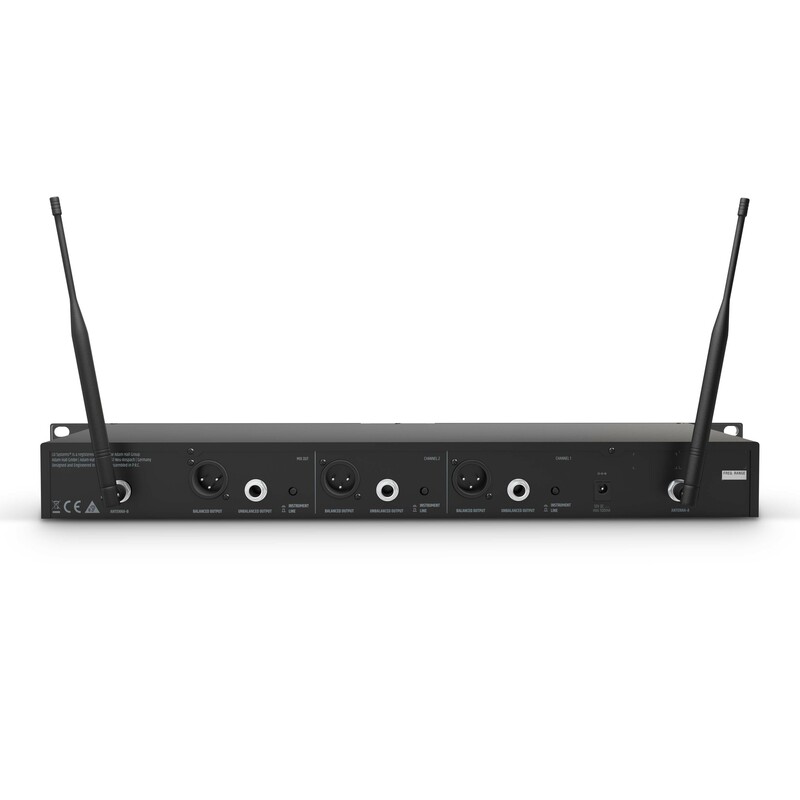 The radio systems for vocals and speech deliver impressive performance and high reliability, which will certainly exceed your expectations. We have designed the range specifically for professional users to ensure that your performance is an impressive and emotional experience. 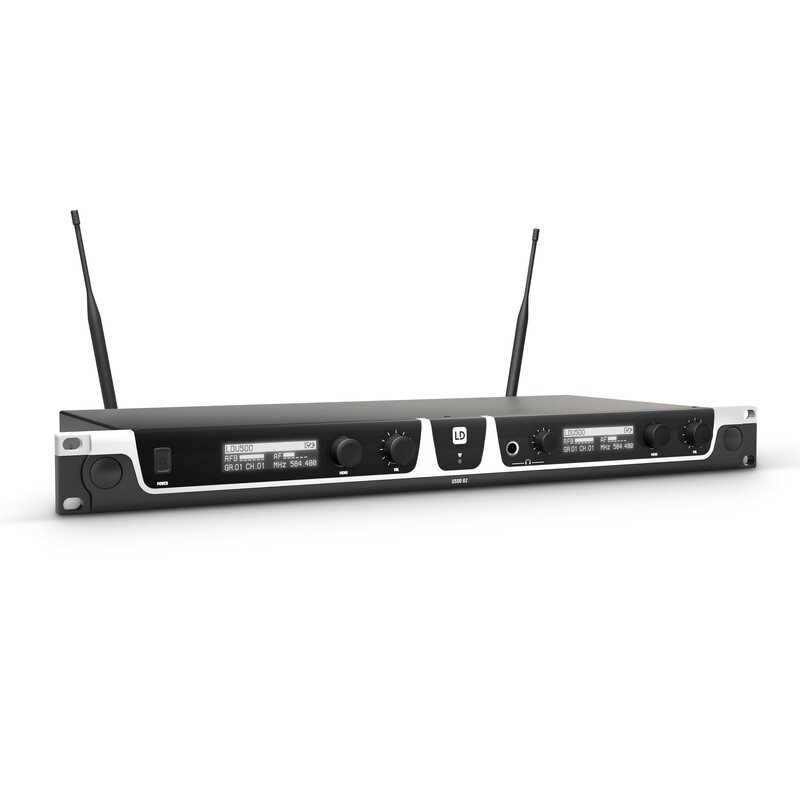 Selectable transmit power up to 30 mW provides the U500® vocal sets with a free-field range of over 100 metres. 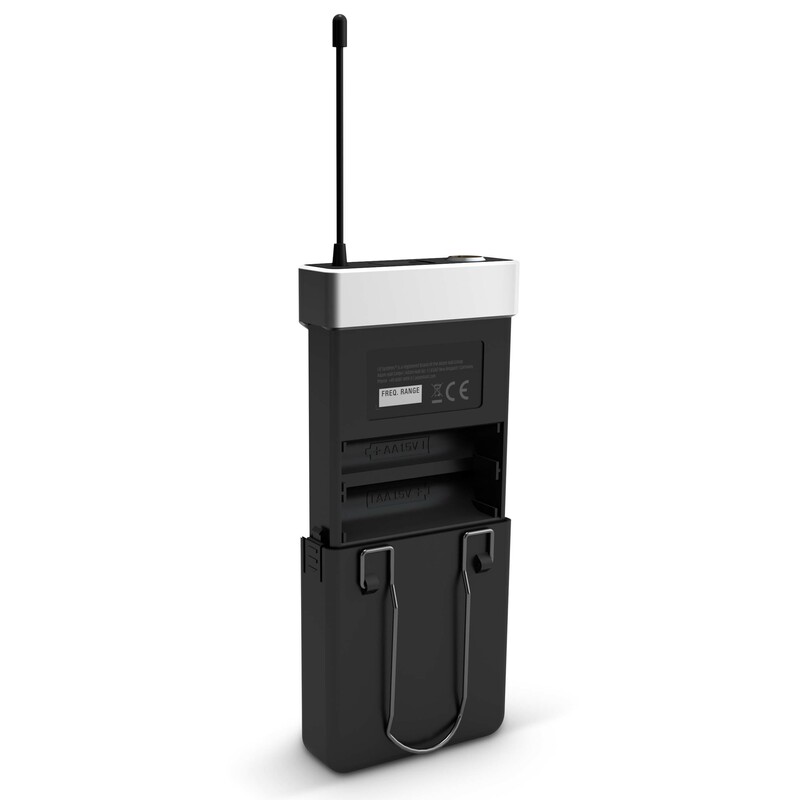 They are available in three frequency bands: 584 - 608 MHz and 655 - 679 MHz, where 12 systems can be operated simultaneously, and 823 - 832 MHz + 863 - 865 MHz, where six systems can be operated at the same time. The True Diversity UHF wireless systems are equipped with an automatic scan facility to find the best free frequency, and convenient one-touch infrared synchronisation of transmitter and receiver to facilitate easy set up. 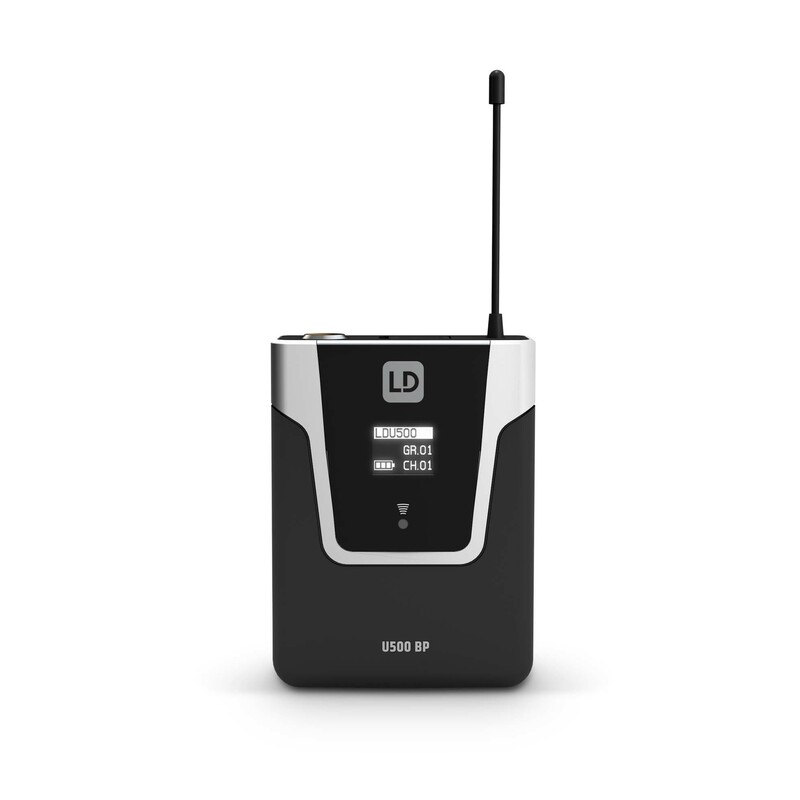 High-contrast OLED displays provide an excellent overview of functions, with indicators for group, channel, radio frequency, and signal strength and battery status. You can even enter individual usernames. 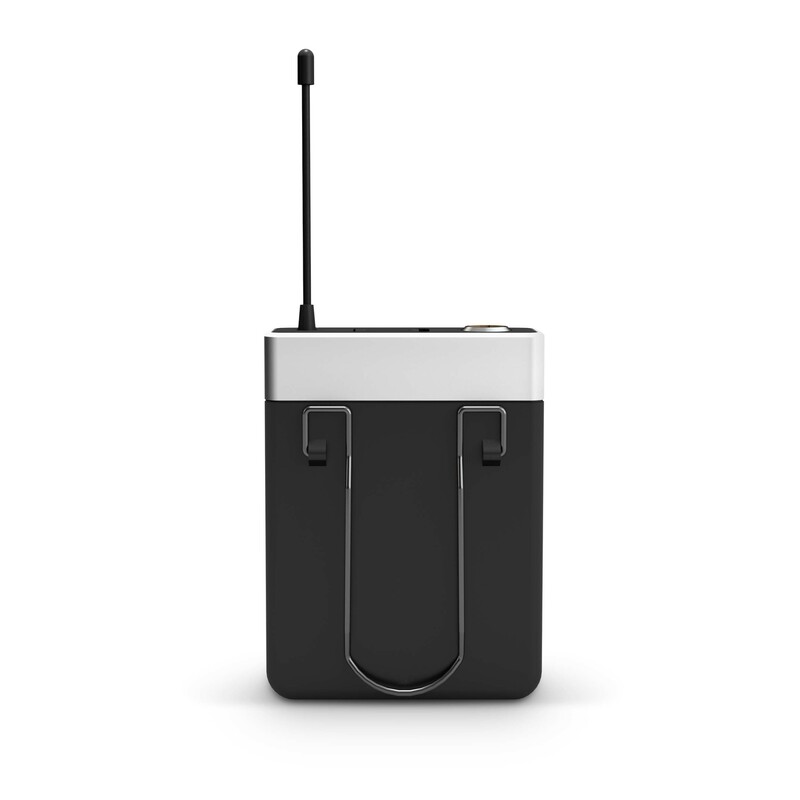 In addition to the squelch function, the transmitter’s silent pilot tone ensures fail-safe operation. 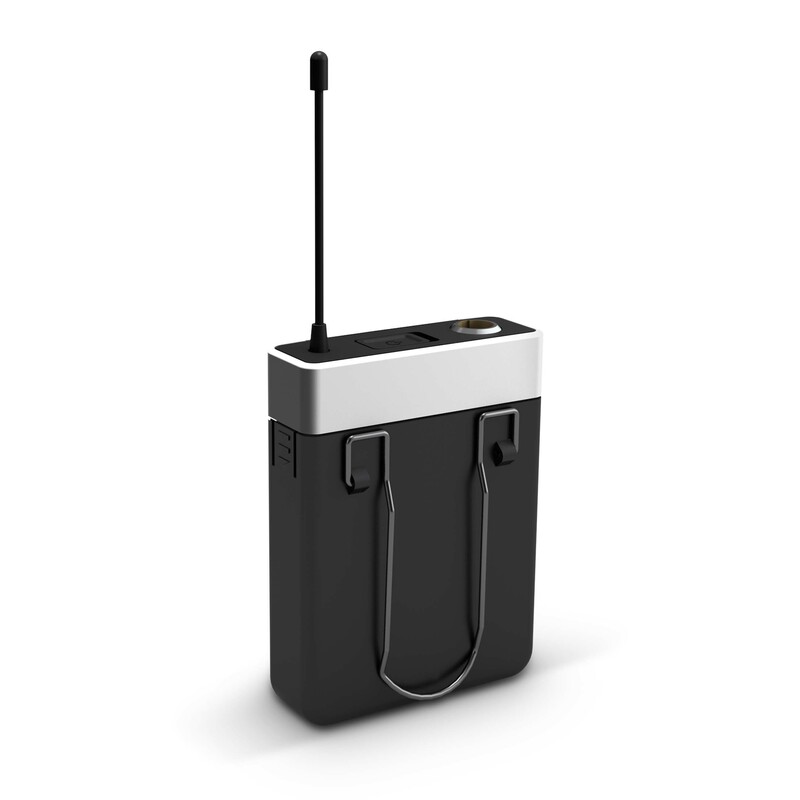 It protects against interference and mutes the receiver if signals without this tone are present. 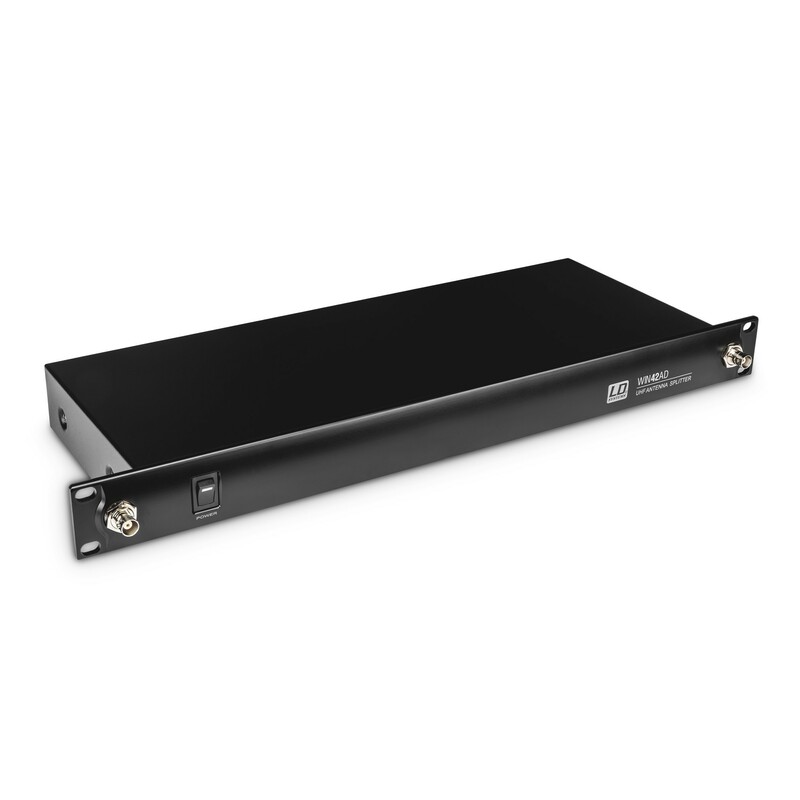 The U500®’s efficient technology and high-quality components provide clear, distortion-free transmission without latency or artefacts. 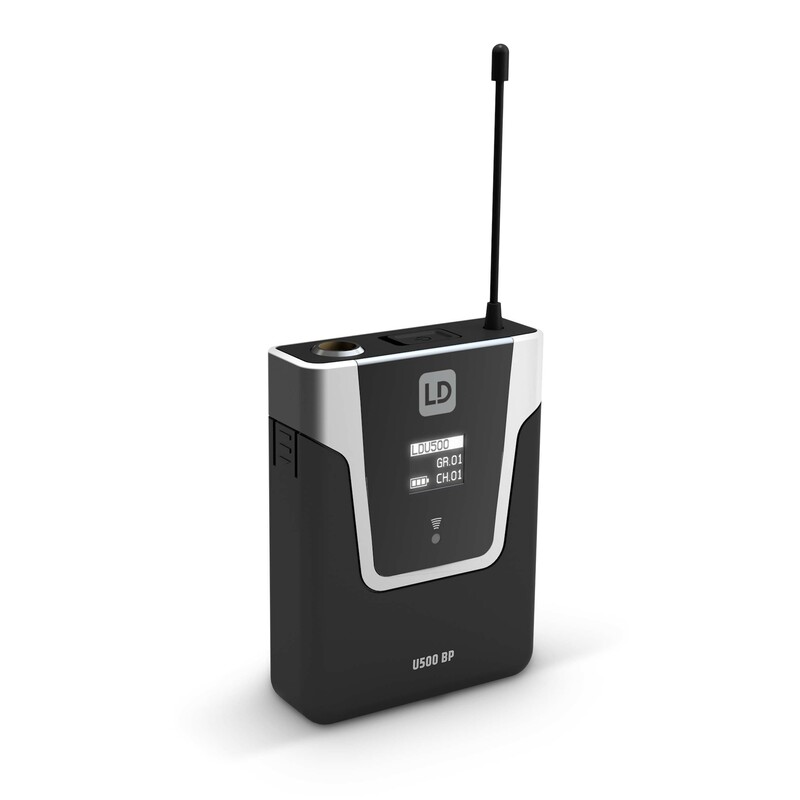 Low power consumption means that the transmitter can run for up to 10 hours with 2 x AA batteries. 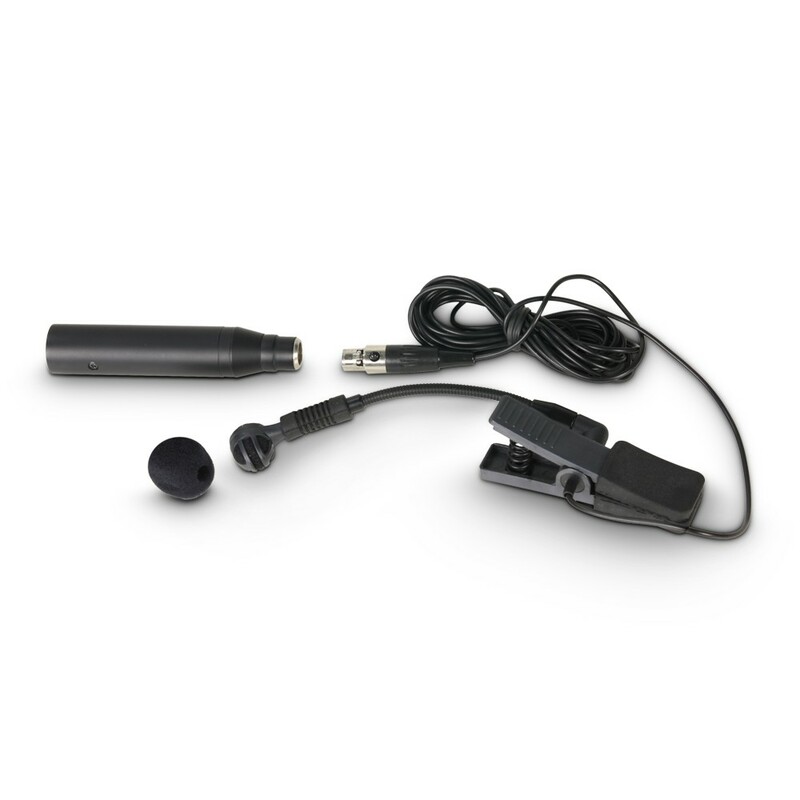 The U500® Series vocal sets are available with hand-held transmitters, headsets, lavalier microphones and single or double receivers. The hand-held transmitters feature interchangeable microphone capsules to suit singing or speaking. 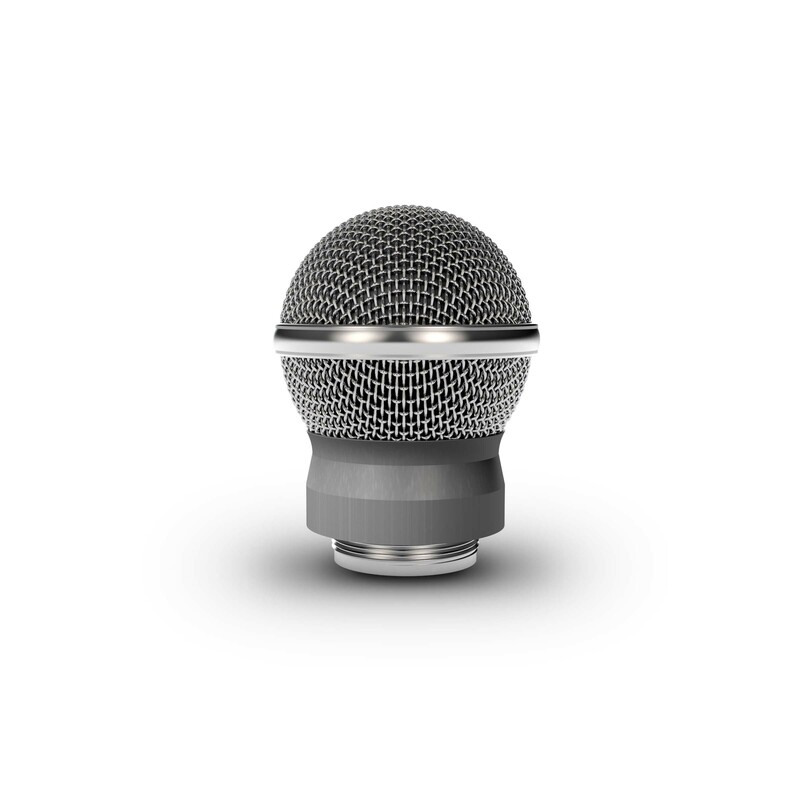 Four types of U500 Series microphone heads provide flexible handheld use and application variety. 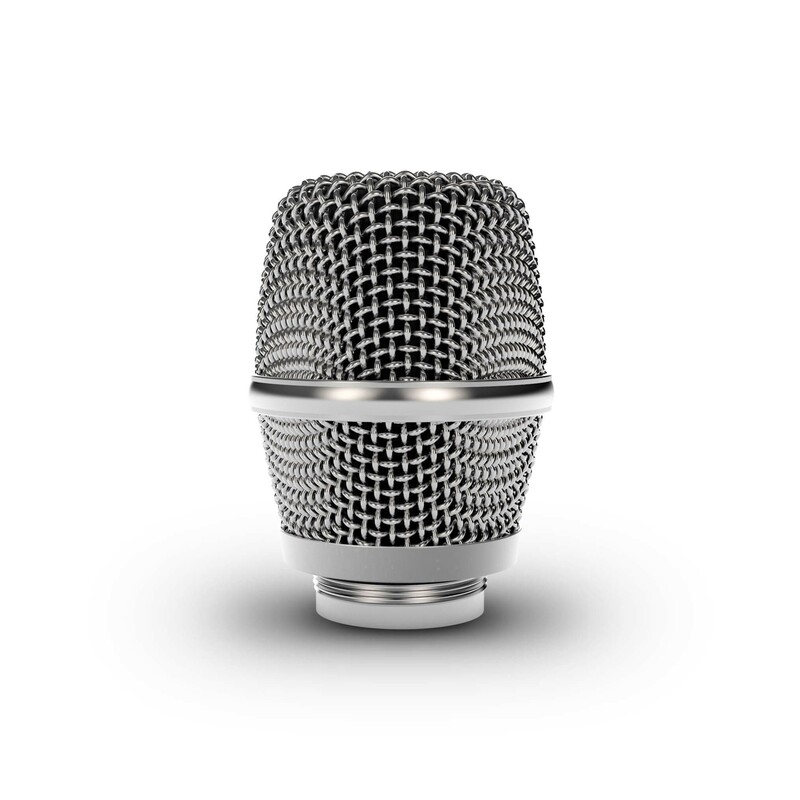 Including cardioid or extremely feedback resistant hypercardioid patterns. 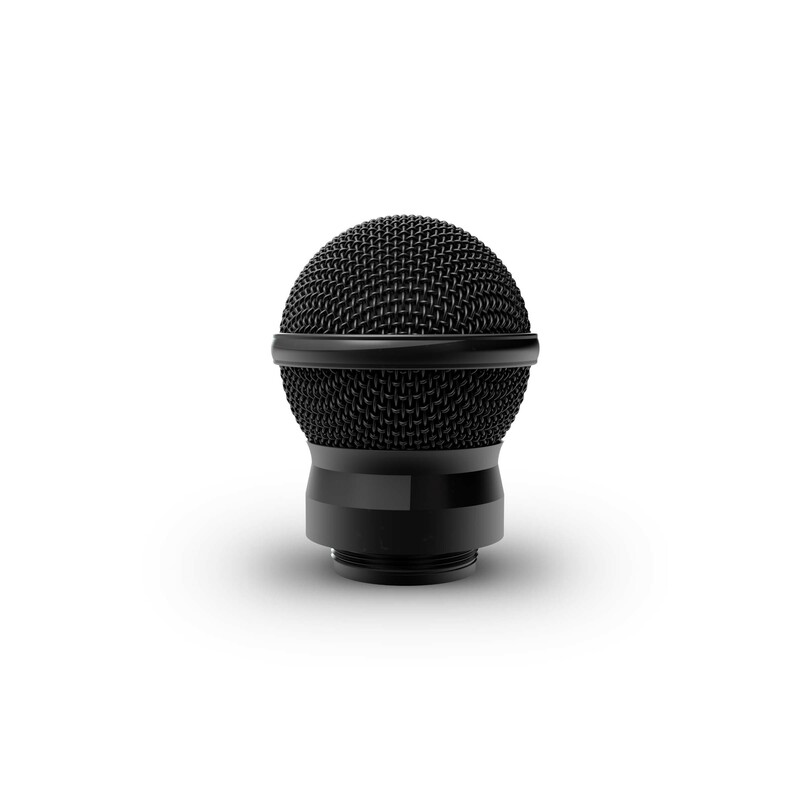 The U500 microphone heads feature shock-mount capsules to prevent handling noise, convenient screw-on installation and gold plated contacts for superior conductivity. 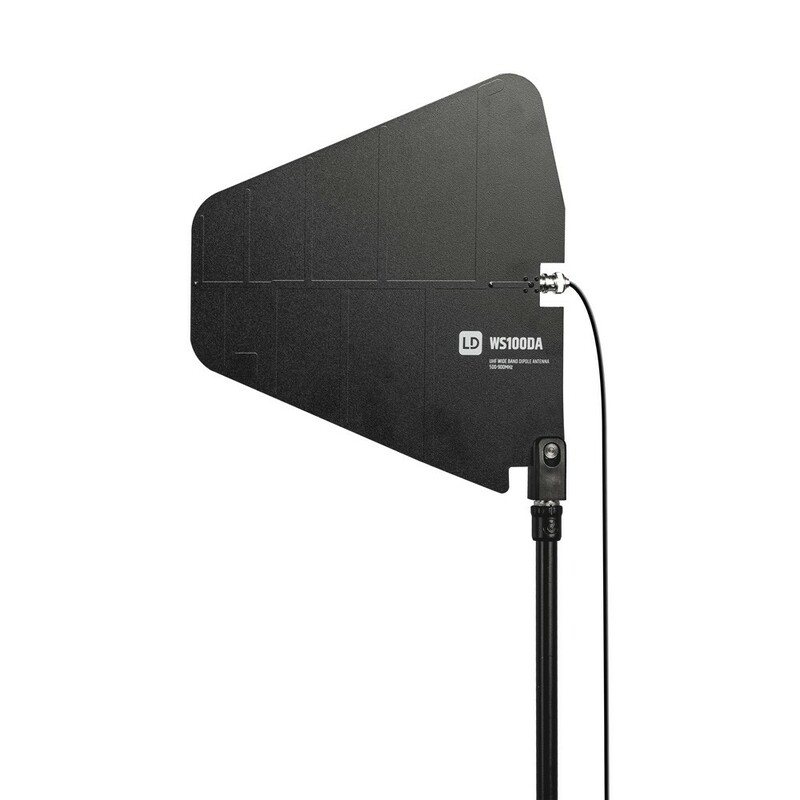 Directional antenna for setting up larger systems. 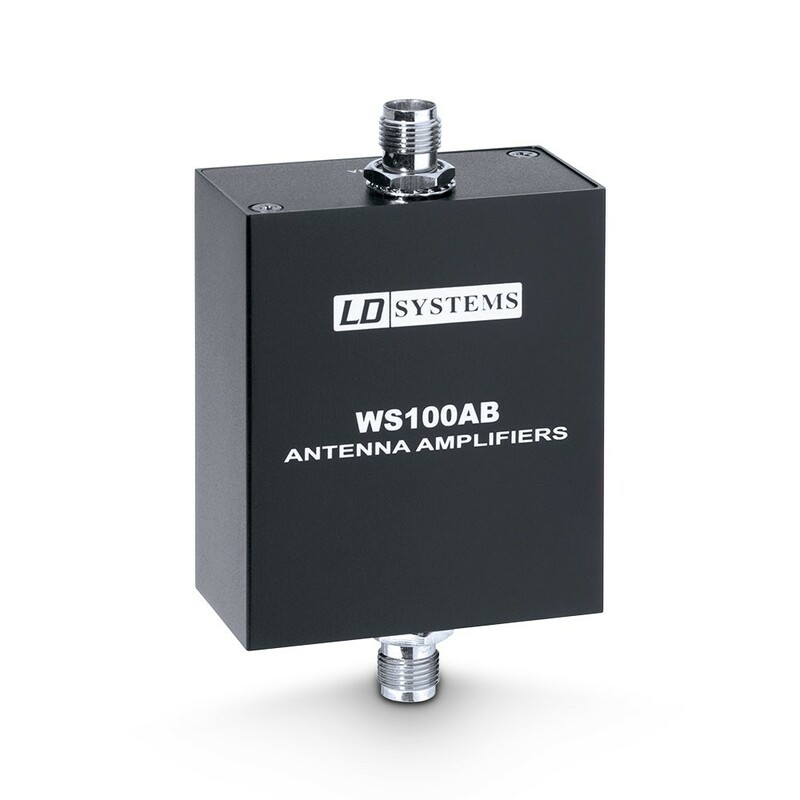 This product is compatible with the LDWS100, LDWS1000, LDWIN42 and LDU500 series. 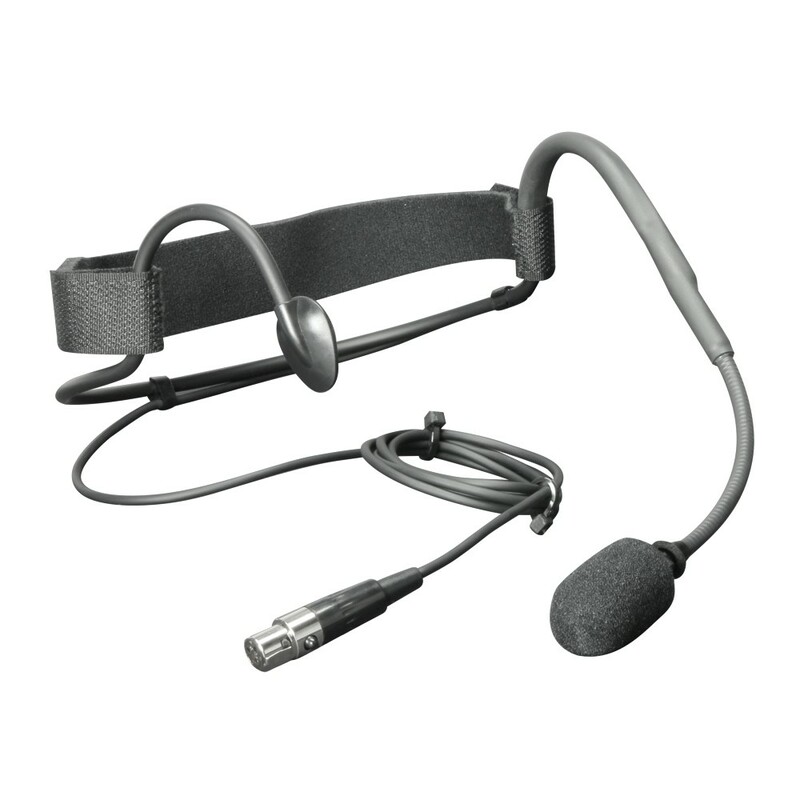 The LDHSAE1 is a professional headset microphone that is especially suitable for aerobics, sports, and fitness trainers. 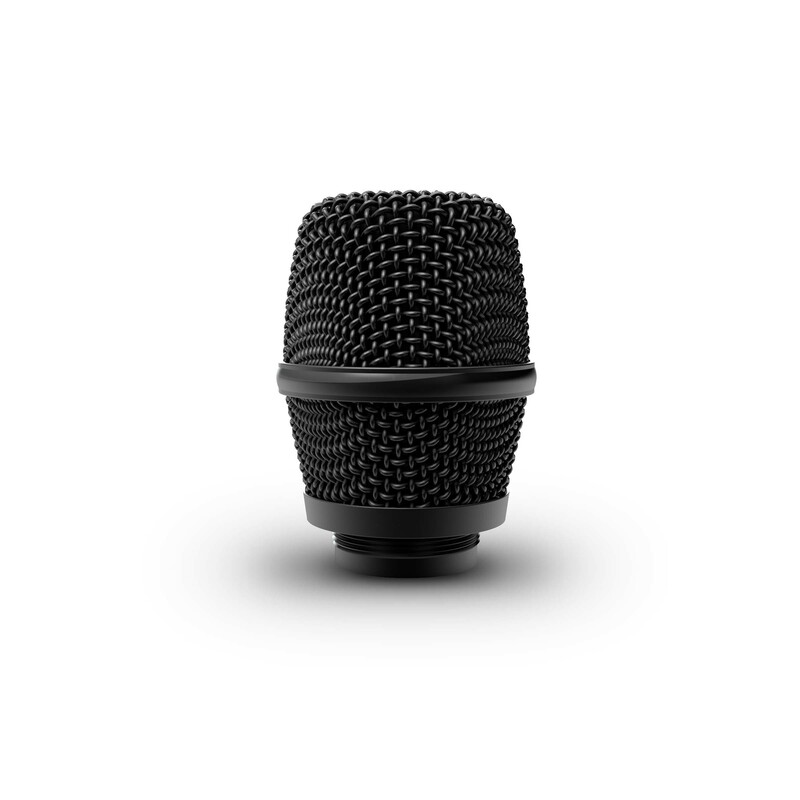 The bi-directional electret condenser capsule with windscreen offers speech intelligibility and high sound quality. 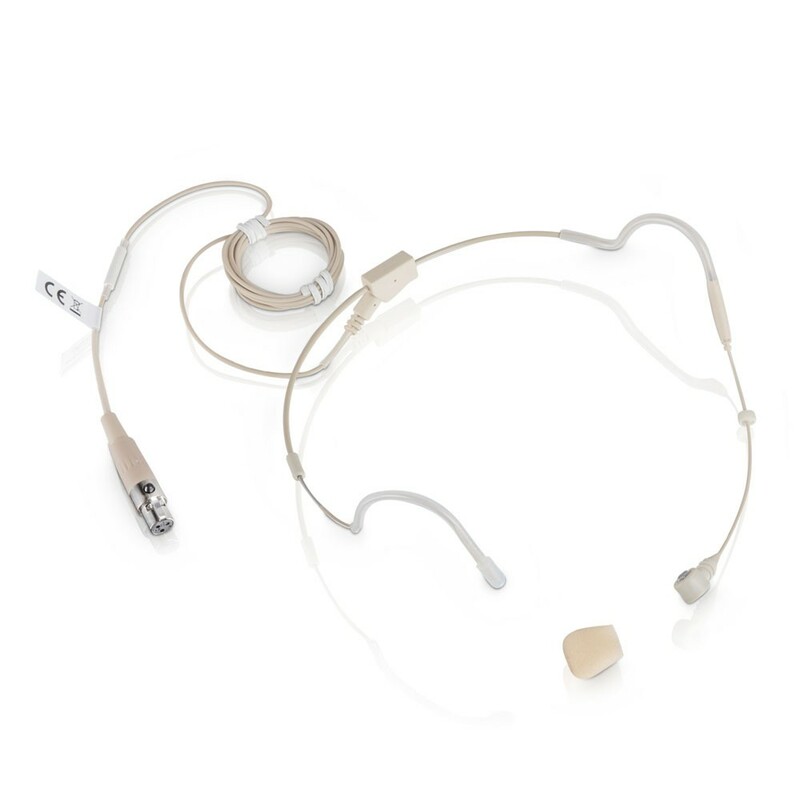 The low weight, flexible microphone arm, and neckband with adjustable neck strap ensure a comfortable, secure fit and complete freedom of movement. 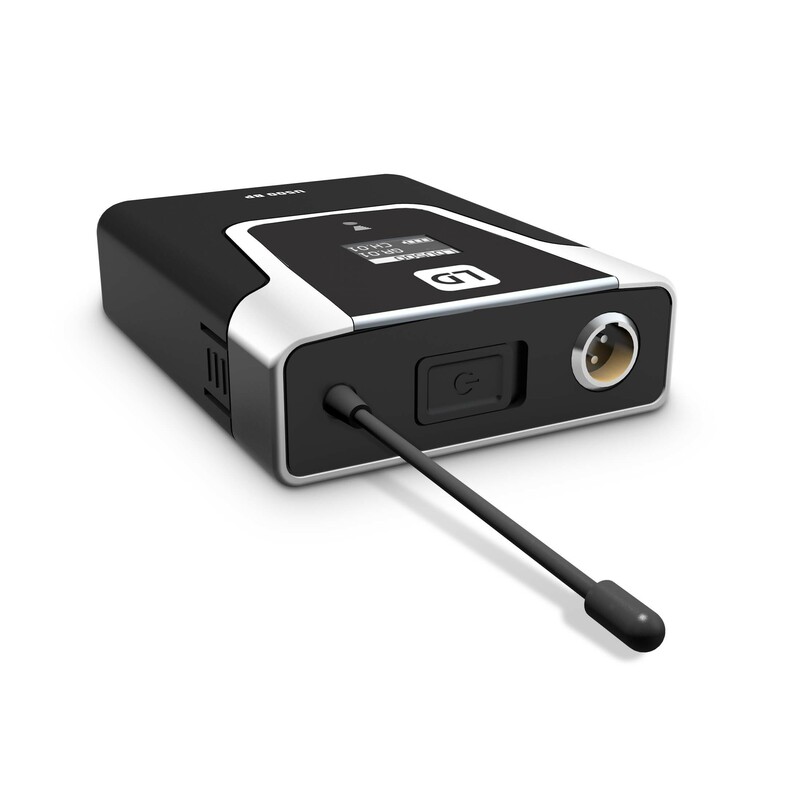 It connects to a wireless transmitter via a mini-XLR connector. 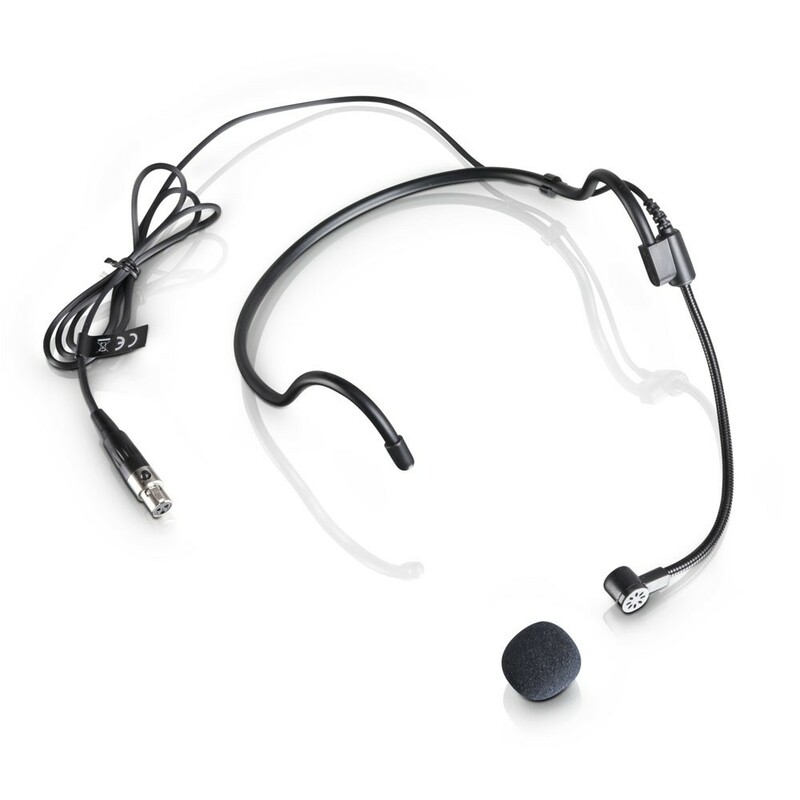 The LDHSAE1 headset is extremely sturdy, water-repellent, and of course also stage-ready. 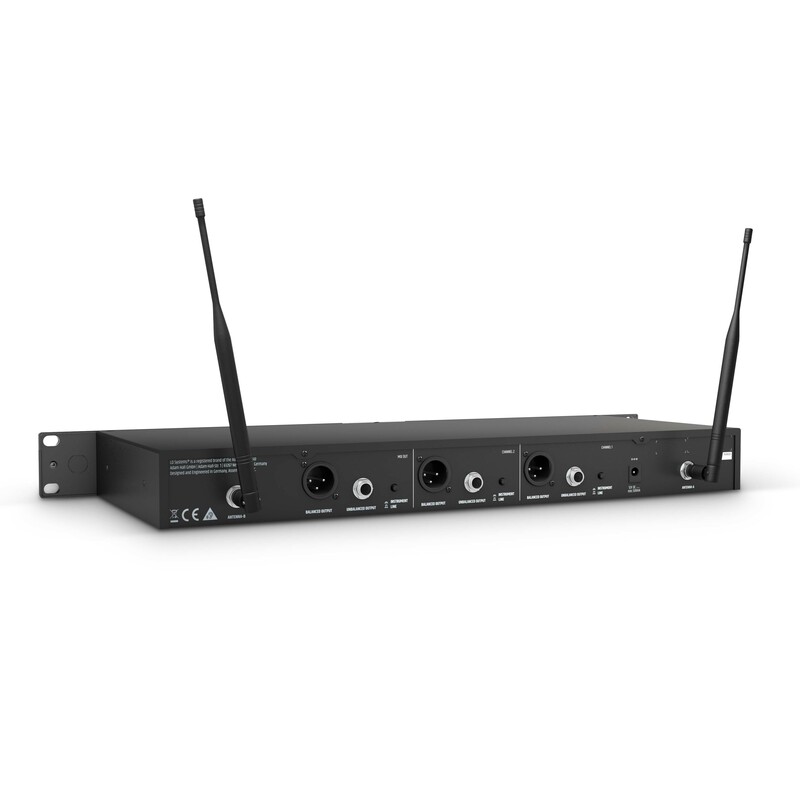 We have developed the U500® Series and incorporated some of your suggestions to provide sophisticated and affordable wireless systems that are tailored to suit the needs of professional users. 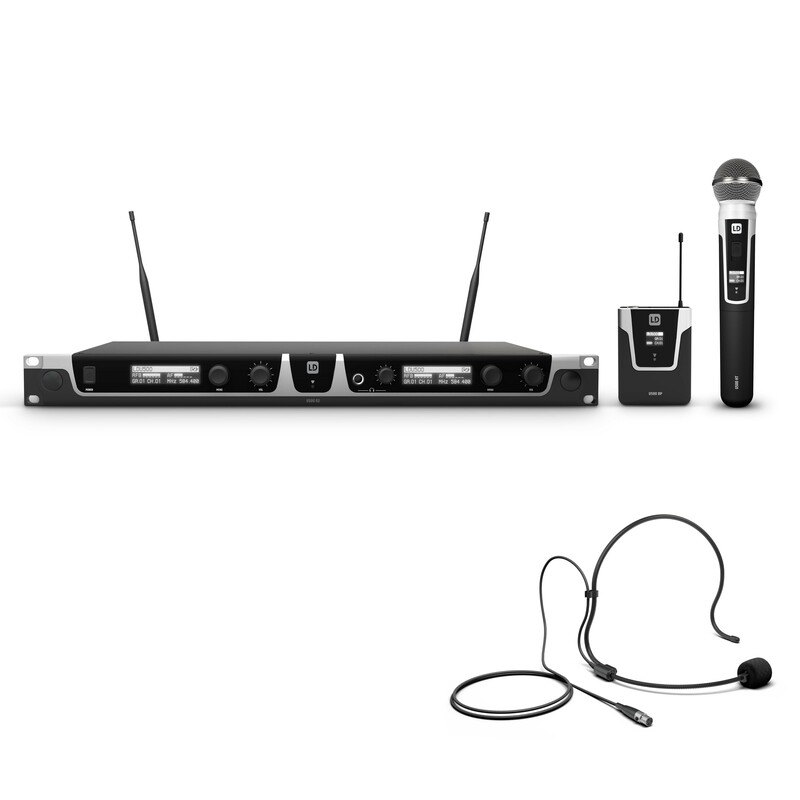 Whether for voice, instruments or as a wireless conference system, sets from the U500® Series will meet your expectations of quality sound, reliability and ease of operation. 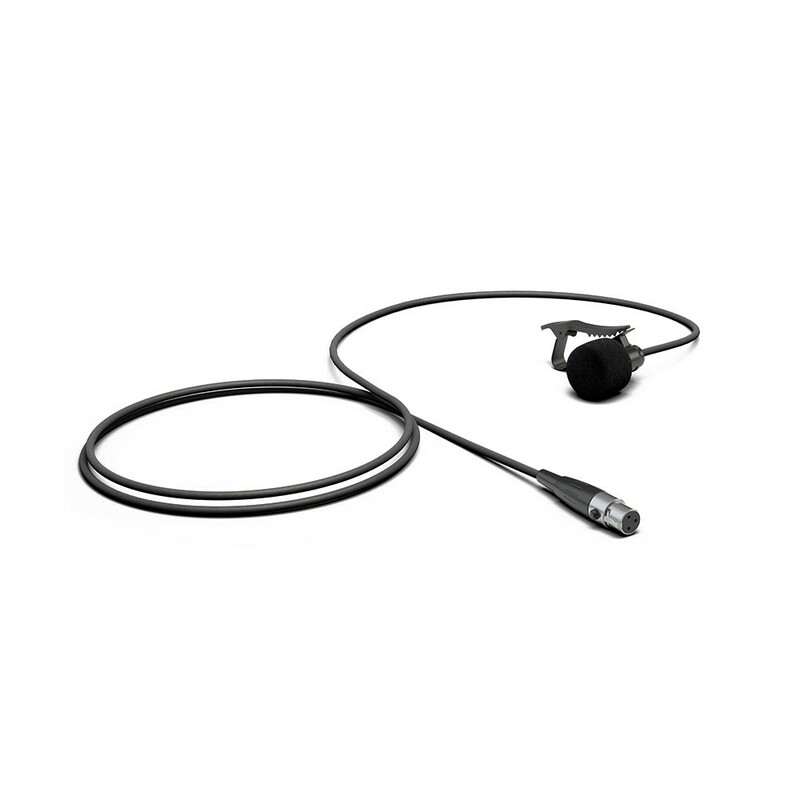 Linear frequency response, natural sound reproduction, lightweight, easy and stable positioning thanks to the gooseneck, very good impact sound isolation thanks to elastic capsule fastening, strong clamp providing good fastening without causing any damage to the instrument thanks to the soft rubber inner surface of the clips. Phantom Power Adapter LDPHA also available separately. 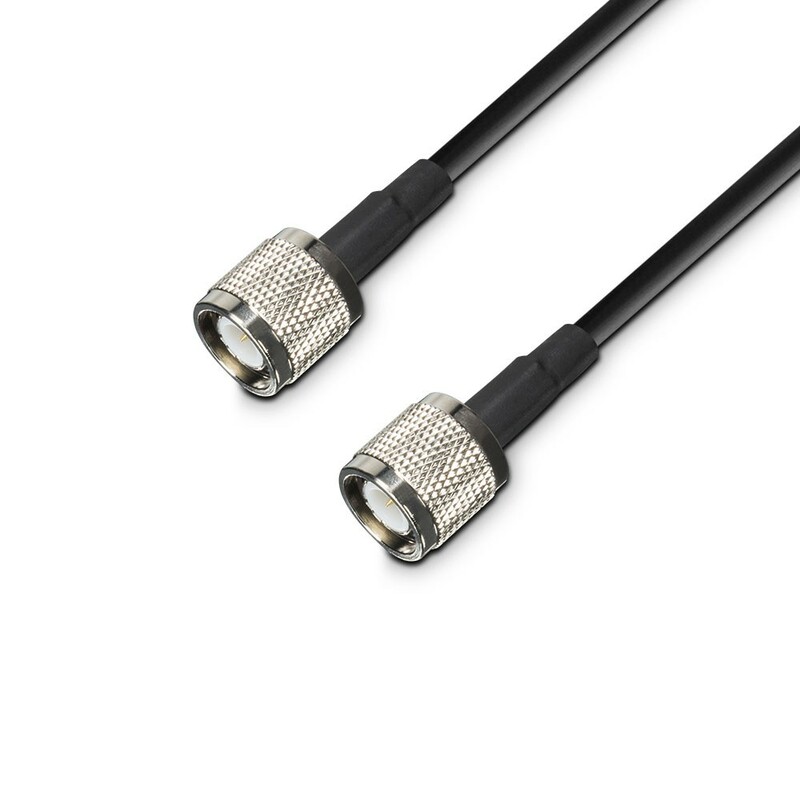 This product is compatible with the LDWS1000G2 and LDWIN42 series. This metal body coaxial adapter permits connecting a BNC plug to a TNC jack. 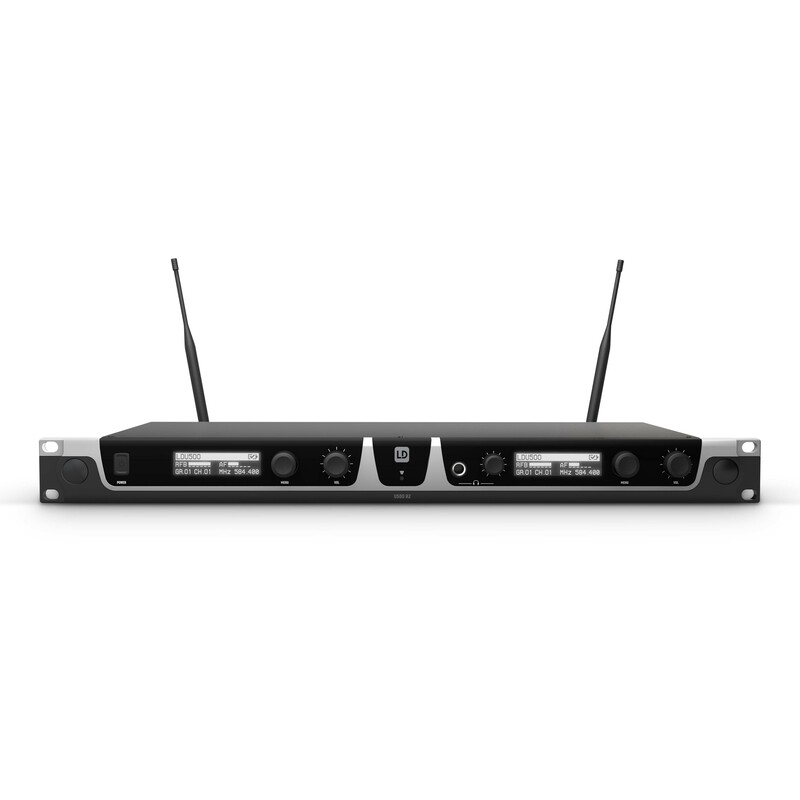 Antenna Split Box 4-way for all types of wireless microphone systems working in a range between 500.000 and 900.000 MHz. 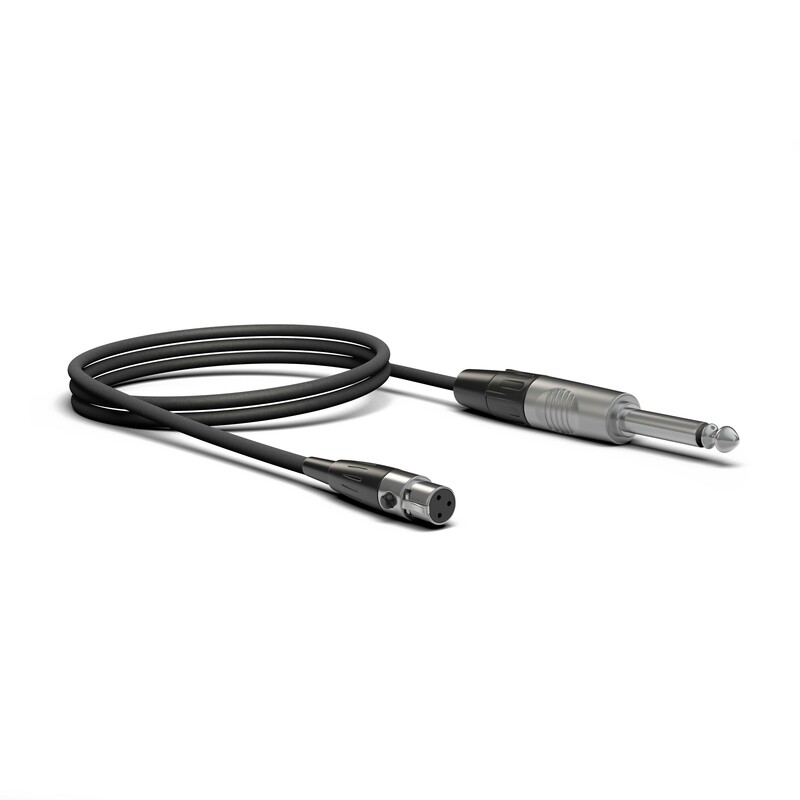 The low-capacitance U500 Series instrument cable with a rugged, highly flexible sheath for optimal signal transmission and 100% trouble-free operation are shielded and fitted with a 6.3 mm Rean® Neutrik jack plug and a 3-pin female mini XLR plug.